My logical mind kicked into gear and I thought "What? That doesn't make sense." I was aware that Jesus, on the day He was crucified, was held captive by Roman soldiers and had no opportunity to eat any kind of meal – let alone fish. 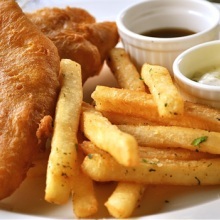 So where did this tradition of eating fish on Friday originate? Certainly the Scriptures never associate fish with Friday. On the other hand, the word "Friday" comes from the name of "Freya", who was regarded as the goddess of peace, joy and FERTILITY, the symbol of fertility being the FISH. From very early times the fish was a symbol of fertility...The word "fish" comes from "dag" which implies increase or fertility...The fish was regarded as sacred to Ashtoreth, the name under which the Israelites worshipped the pagan goddess. In ancient Egypt, Isis was sometimes represented with a fish on her head. In Babylon the fertility goddess Freya was known as Ishtar. The word Easter is derived from this fertility goddess. Friday was the sacred day of this fertility goddess. For as Jonah was three days and three nights in the belly of the great fish, so will the Son of Man be three days and three nights in the heart of the earth (Matthew 12:39-40). Might there be some connection between the custom of Friday being a sacred day to Freya (Ishtar/Easter) and why the death of Jesus is celebrated on a Friday, only 1 day and 2 nights before Sunday sunrise, as opposed to 3 days and 3 nights? To my amazement, as I studied the Scriptures I found that Jesus was not crucified on Friday as is traditionally believed in the Christian world. So you may ask, if Jesus was not crucified on Friday, on what day did He die? If the crucifixion of Jesus took place on Friday and He was buried in the late afternoon just before sunset, then three days and three nights later would place His resurrection late afternoon on Monday – not Sunday morning, as is commonly assumed. The gospel writers tell of several different visits made by the disciples to the tomb on that first day of the week. In every instance, they found the tomb EMPTY! On the night before His crucifixion, Jesus kept the Passover - on the day noted in Leviticus 23:5. The Sabbath on the day after Christ was crucified was a high day – it was an annual Sabbath (not a weekly Sabbath). It was the first Day of the feast of Unleavened Bread (Leviticus 23:6-8) which could occur on a day other than Saturday. In the year of His death it occurred on a Thursday. So when Jesus had received the sour wine, He said, 'It is finished!' And bowing His head, He gave up His spirit. Therefore, because it was the Preparation Day, that the bodies should not remain on the cross on the Sabbath (for that Sabbath was a high day), the Jews asked Pilate that their legs might be broken, and that they might be taken away. Jesus' death and burial was shortly before Wednesday sunset - NOT on a Friday (Freya's day). And, as stated in Matthew 12:39-40, Jesus said He would be in the grave for three days and three nights. This places His resurrection towards sunset on Saturday, not Sunday morning. In chronological order Luke 23:54-56 states that Jesus was buried, the Sabbath drew on (the high day), they returned to prepare spices which would have happened on the Friday as they wouldn't have done so on the high Sabbath of Unleavened Bread (Thursday) and then rested on the weekly Sabbath. 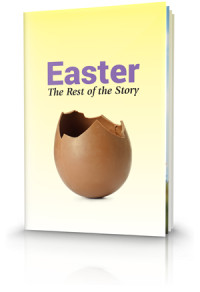 The Good Friday/Easter observances do not reflect the sequence of events surrounding Jesus' death and resurrection. In the New Testament we find Jesus observing the Passover (Matthew 26:18), one of seven festivals that God gave to ancient Israel. When God gave Israel the instructions on how to keep each of these festivals He started by calling them "the feasts of THE LORD" (Leviticus 23:2). 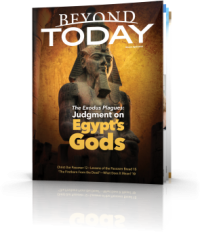 Passover is not just the record of the death angel sparing Israel during the plagues of Egypt, the Passover has great meaning for us today – through His death and resurrection, we may have our sins forgiven and be spared from the penalty of sin which is death - because "Christ our Passover has been sacrificed for us" (1 Corinthians 5:7). 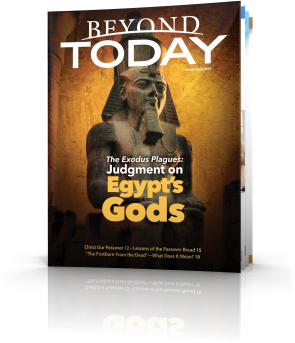 Instead of just celebrating coming out of Egypt, the feast of Unleavened Bread which follows the Passover celebrates our coming out of sins (1 Corinthians 5:8). Pentecost (Feast of Weeks) now celebrates the birth of the Church (Acts 2) – and the first harvest of human beings in God's great plan of salvation. 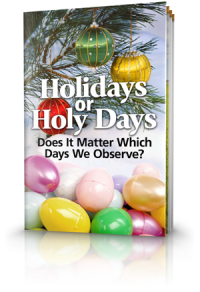 The four latter festivals don't just celebrate physical events such as the greater physical harvest but the great harvest of souls to occur after Christ's return and other end-time events. Paul referred to feasts which "are a shadow of things to come" in Colossians 2:17. 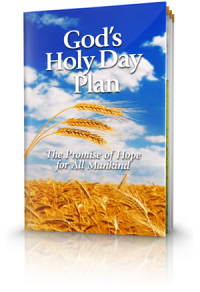 If you wish to know more about the origin of the Good Friday/Easter customs and more about the wonderful festivals of God that specifically describe His great step-by-step plan for mankind's salvation then be sure to download or request a copy of our free booklets: "Holidays or Holy Days" and "God's Holy Day Plan".